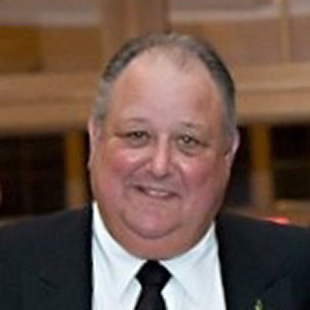 Frank Platt has a Bachelor of Science degree from Rider University. He received a Juris Doctorate degree from Fordham University in 1969. Frank was admitted to the Bar of the State of New York in December, 1969. He is also admitted to the United States District Courts of the Eastern and Southern Districts of New York. Frank Platt has been involved in corporate, banking estate, litigation, collections, insurance and real estate transactions for the wholesale food industry, meat and related products since 1971. Frank handles all aspects of corporate law, concentrating on family-owned and closed-held corporations, their day-to-day business activities, acquisitions of real estate and/or business cooperatives, the sale and acquisition of private corporations, and litigation arising out of the operation of said companies, estate planning and estate administration, and personal matters related to the principals and employees of said corporations. Frank is the attorney for the Gansevoort Market Co-Op, a cooperative meat market located in New York City, and he has served as counsel for the Brooklyn Cooperative market in Brooklyn, New York. Additionally, Frank is a member of the American Bar Association and the Rockland County Bar Association. Frank and Speyer & Perlberg, LLP have been associated for many years, as Speyer & Perlberg, LLP has represented Frank’s clients involved in litigation. Frank joined Speyer & Perlberg, LLP as a partner. Action by buyer against seller of a wholesale meat distribution corporation for fraudulent concealment of facts in contract documents. Defense of action by employee/principal of dry goods distributor for claimed labor law violations and fraud. Attorneys’ malpractice action against law firm that negligently allowed a commercial real estate deal to be canceled. Corporate transactions – Sale of shares of an amusement and water park. Sale of assets of commercial importer and processor of salmon. Sales of shares of multi-state meat processing facilities. Negotiation and execution of a 5-year extension of lease for Gansevoort Market Inc. with the City of New York and transfer of a portion of the market premises to the Whitney Museum. Serving on a the Business Integrity Committee for meat markets.